Get a suitable level of theoretical and practical knowledge on the planning and management of logistics and transport. Command every aspect of the logistics chain from a technical, commercial, legal, economical and political point of view. University graduates willing to develop their career in the sector of logistics and transport. Professionals aiming to enlarge and update their knowledge. 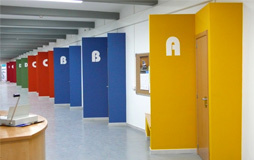 Teaching hall with capacity for 30 students. This room is provided with video, television, computer, video and overhead projector and a blackboard. 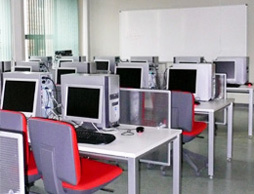 IT room: equipped with 30 computers with Internet connection and the required software for the course. There is a free computer room in the School available for students. Library: he library of the Jovellanos University School is provided with specific bibliography as well as relevant publications in the field of Transport and Logistics. 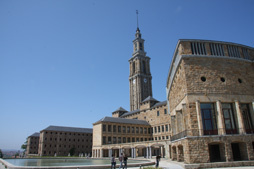 All equipment of the University of Oviedo. Theoretical and practical lectures are taught from Monday to Friday. Monday and Wednesday from 16,15 a 20,45. Monday to Thursday from 16:15 to 20:30. Fridays from 16:15 to 20:30. Last quarter comprises intensive seminars and the Master Thesis. Six-month internship.